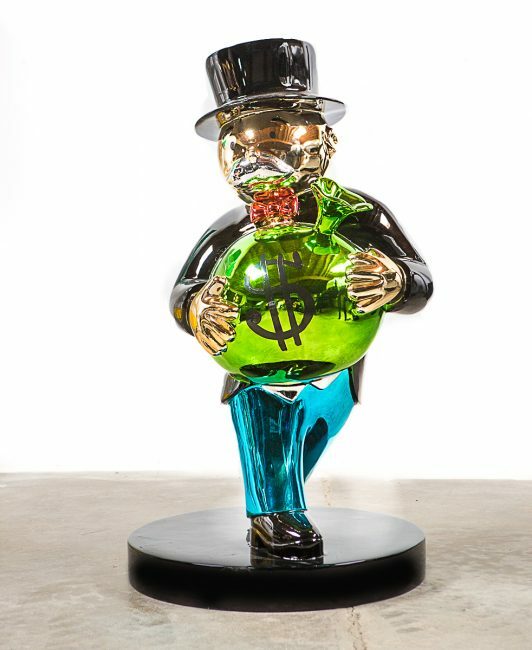 Alec Monopoly brings his paintings to life as he creates his most popular icons into physical sculptures. 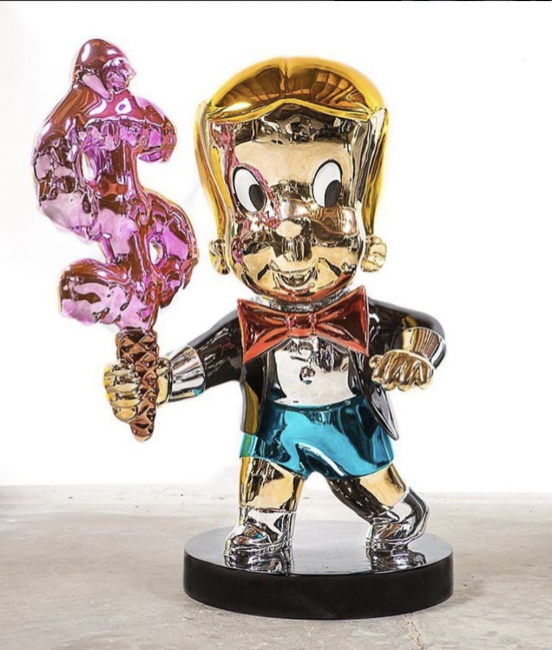 For the New York-born, Los Angeles-based muralist, Alec Monopoly dives into sculpture as a alternative medium from his renowned mural and canvas works and has released new limited edition sculptures as part of Miami Art Week this year. The unidentified street artist’s Monopoly Man has become a icon of the contemporary street art scene. The iconic character has graced the streets, gallery exhibitions and the collections of many art enthusiasts around the world. He now brings the these playful characters into 3D form with the release of several edition sculptures. 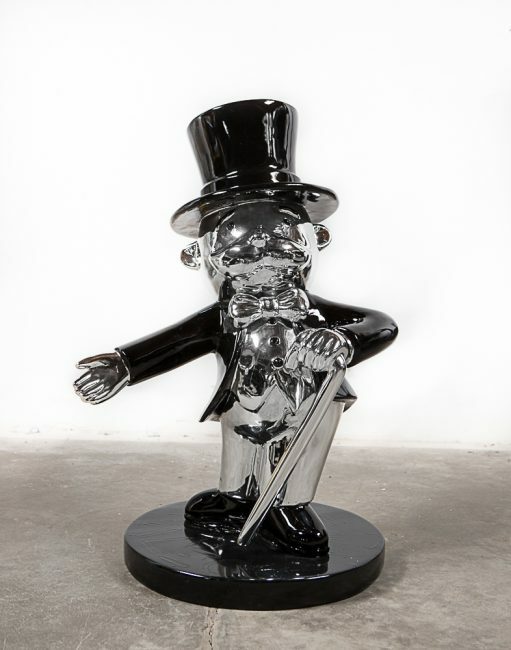 In 2015, Alec Monopoly created his first sculptural pieces taking influence from Jeff Koons “Balloon Dog” series. The artist’s Reflective Icons Series are electroplated casting compound hand finished by the artist with acrylic paint. The hand painted element of each sculpture is an important component to Alec. Although released as an edition, he takes it a step further by utilizing techniques to signify his Street Art and Graffiti origins to provide each collector with a unique finish. 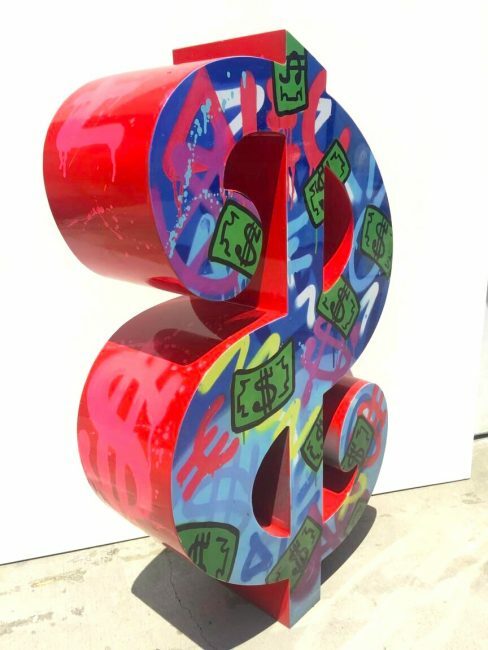 To follow up, in early 2017 Alec took a different approach by casting the dollar sign into a three foot masterpiece. 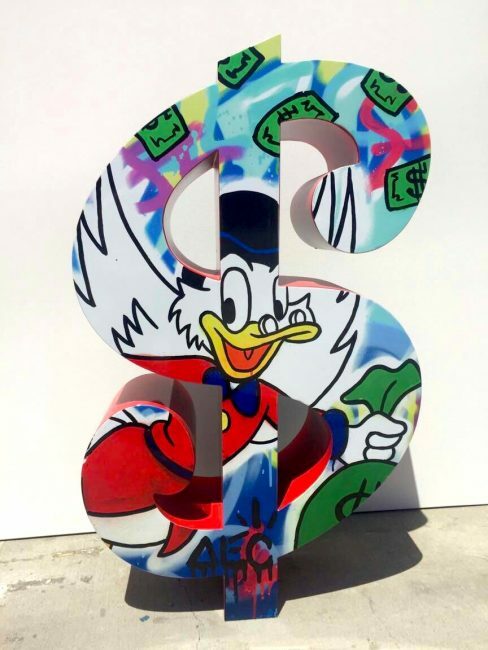 From an edition of ten, each dollar sign is also hand finished with a unique painting of his infamous pop cultural characters like Scrooge and Richie Rich. HIs latest release for Art Miami brings his work back to focus on his popularized character Rich Uncle Pennybags. A new color palette of black and silver tones down the usual vibrant hue of the artist to bring a chic and sophisticated finish. 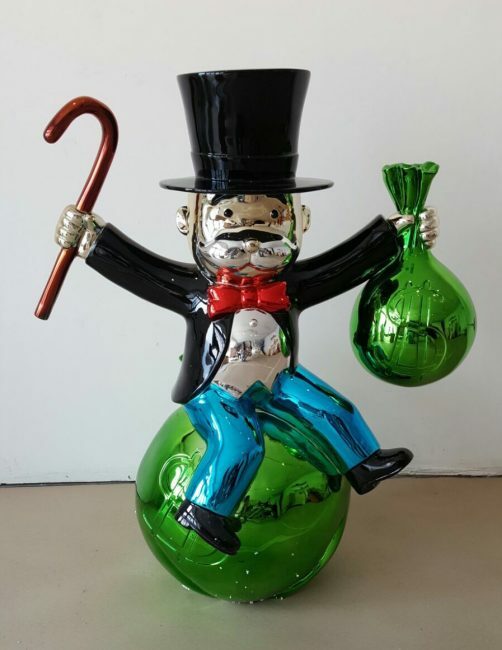 Inquire today about exclusive Alec Monopoly sculptures, paintings and prints for sale. 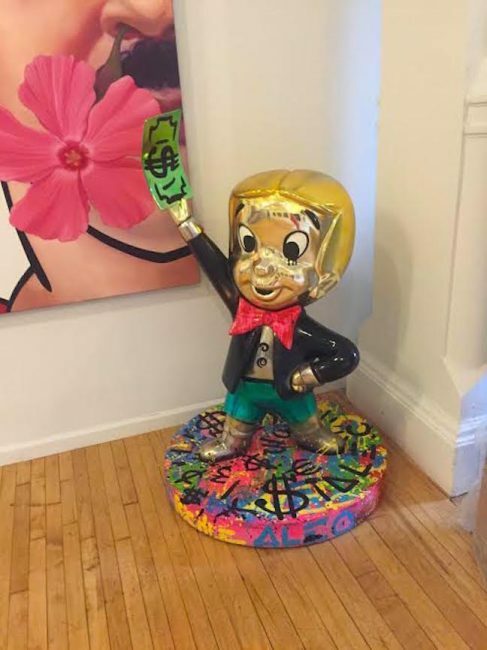 Guy Hepner also offers the unique opportunity to customize your very own Alec Monopoly commission, inquire via phone or email for further details.